Community news, random cool stuff about the park. 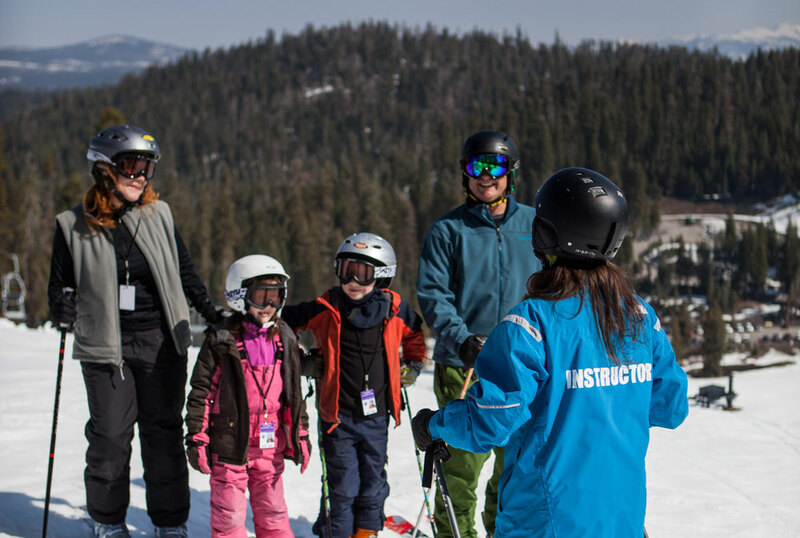 If you’ve taken a ski or snowboard lesson at Badger Pass, odds are you’ve met Badger Pass Ski School Director, Chuck Carter. 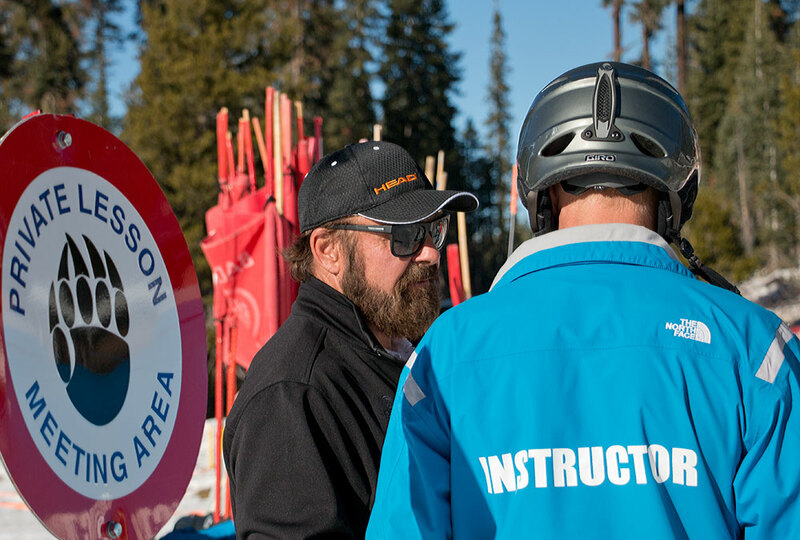 Soft-spoken, efficient and friendly, Chuck has been a fixture at Badger Pass for 46 winters, introducing new skiers and snowboarders to the slopes. That experience has given him a unique perspective on the ski area. 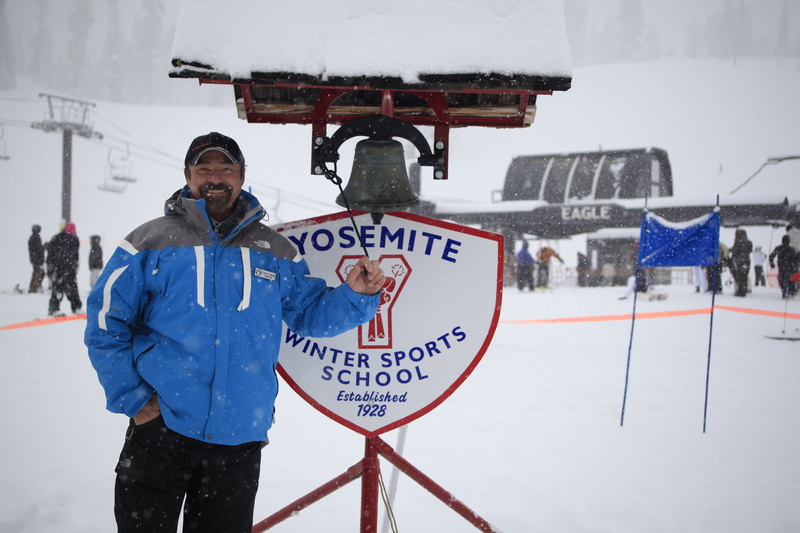 Chuck first fell in love with Badger Pass when he was in high school in Mariposa – sneaking up for a day on the slopes even though his football coach at the time prohibited it. The warm sierra sun gave him away when he and his teammates would show up back at practice with a tell-tale goggle tan, a tanned face, minus the area covered by ski goggles, but that still didn’t stop him. Chuck Carter is celebrating his 46th winter at Badger Pass. Pictured here organizing ski and snowboard lessons. Soon he met the legendary Nic Fiore. “Everybody knew Nic. He had such a big personality.” Nic arrived at Badger Pass just for the 1947-48 season but as he says, “Yosemite made such an impact on me. I fell in love with the place.” He ended up working at Badger Pass for more than 50 years, teaching more than an estimated 100,000 people how to ski, becoming a leader in the Professional Ski Instructors Association, and writing a book titled “So You Want to Ski”. Chuck carries on Nic’s focus on teaching, and seems to be shooting for the same longevity. He started working as a part-time ski instructor for Nic Fiore in the winter of 1969-70, when he was in college, making the drive to Badger Pass every weekend and as many weekdays as possible. Enjoying sunshine and a snack on the deck at Badger Pass. What keeps him coming back year after year? First, it’s the people. Chuck enthusiastically mentions not only the instructors and Badger Pass staff from all the different departments, but also guests. “People come up every year for decades. 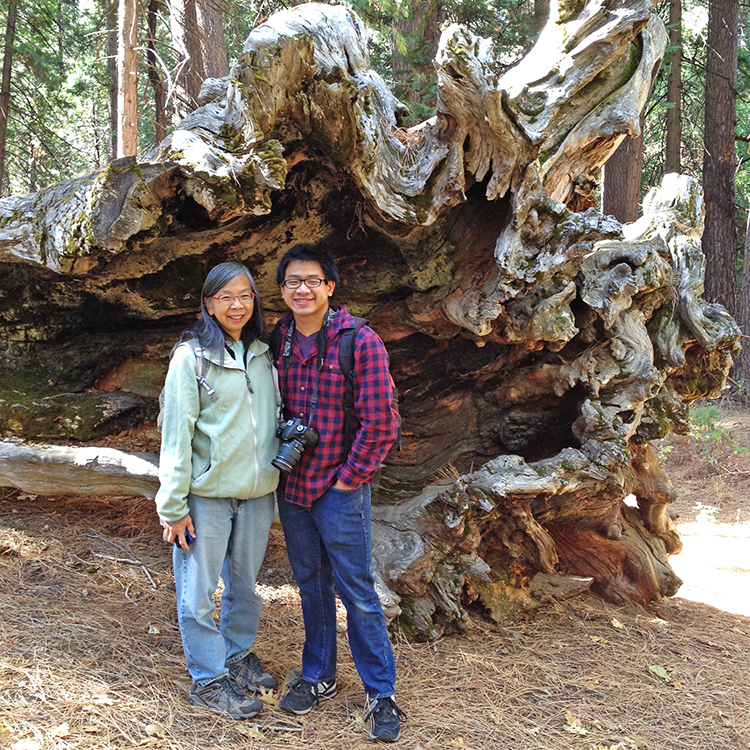 It’s like seeing a bunch of old friends.” Plus, he loves being outside in Yosemite. Regulars to Badger Pass have fond memories of soaking in the bright Sierra sunshine from the deck. With its lofty location in the Sierra Nevada mountains of California, Yosemite National Park has always been a popular venue for winter sports. 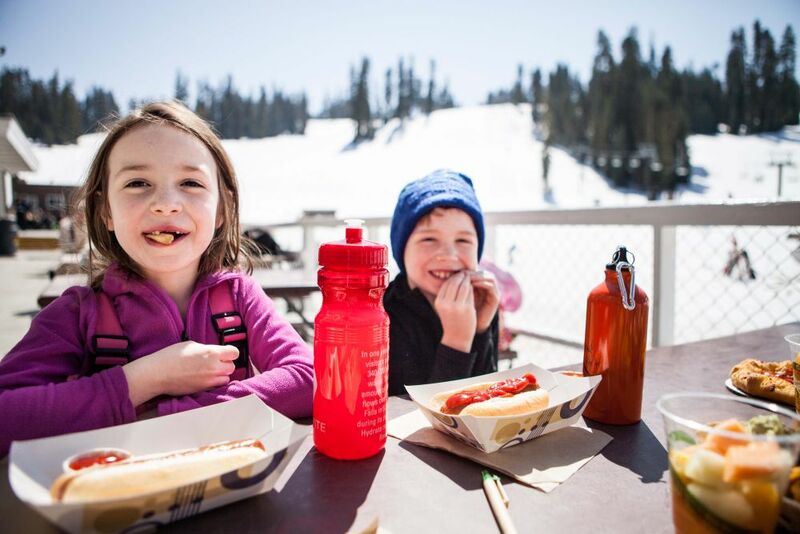 Today you can ski, snowboard, snow tube, snowshoe and cross-country ski at Badger Pass Ski Area and ice skate at the Curry Village Ice Rink. 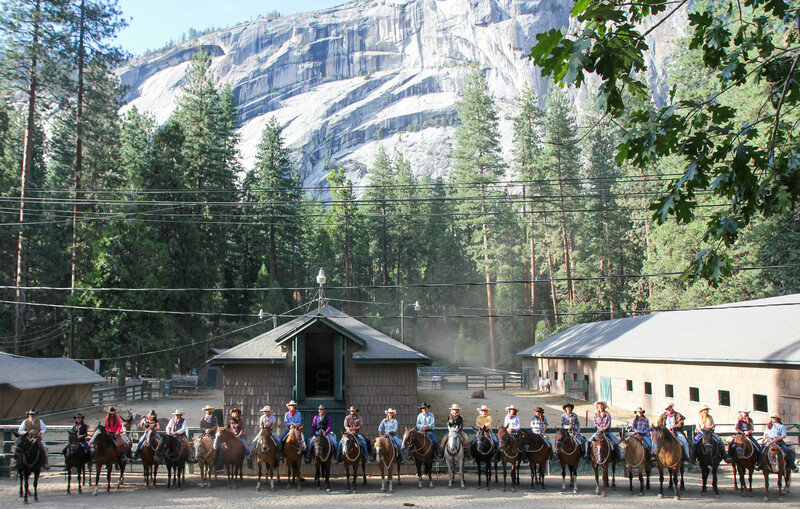 But both Badger Pass Ski Area and the Curry Village Ice Rink are some of the oldest facilities in Yosemite with a storied history. Though ice skating on the Merced River had always been a popular winter activity in Yosemite Valley when the ice was solid enough, the first ice skating rink in Yosemite National Park was built in 1929 in reaction to the news that Yosemite was being considered as the location for the 1932 Winter Olympics. 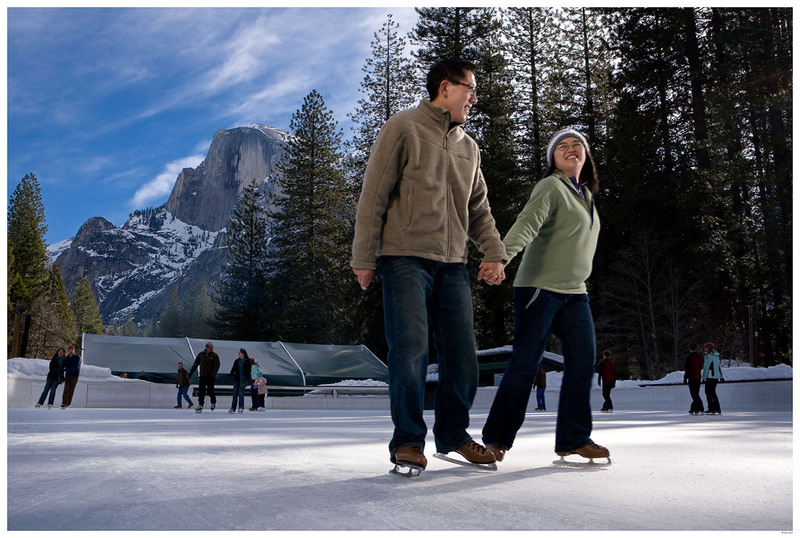 As the coldest area in Yosemite Valley with little direct sun in winter, the ice rink was naturally located at Curry Village. 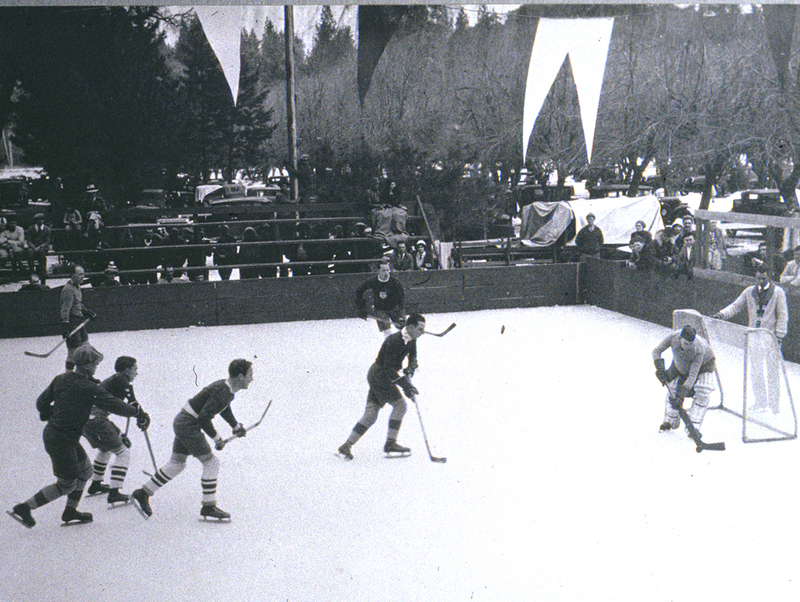 The original 60,000 square foot rink was built where the Curry Village parking lot – both paved and dirt – stands today. Ice skating was taking place in this same spot before the construction of a formal rink by flooding the parking lot with water each night that was then ready for skating by morning. 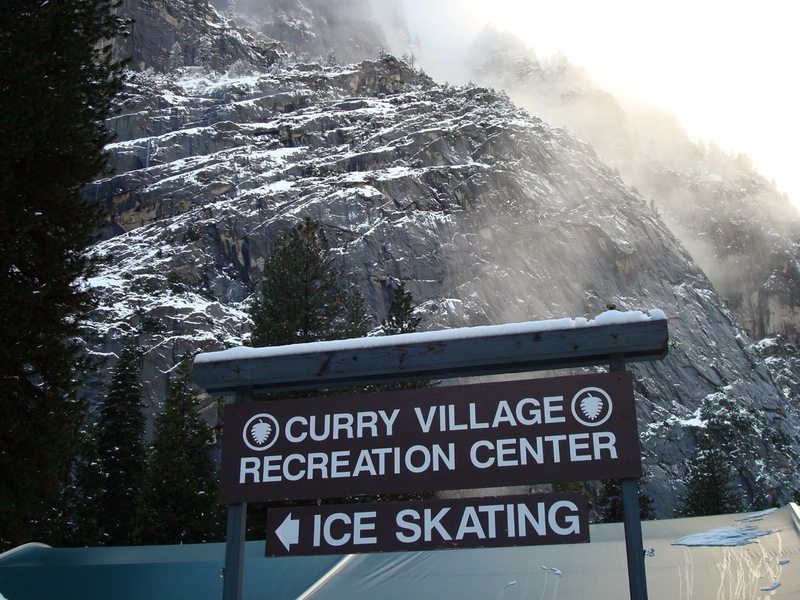 Once established, the Curry Village Ice Rink was considered the premier ice skating center in California with its stunning natural setting and the support of the Yosemite Winter Club. Not only was the rink used by park visitors, but also hosted speed skating races, figure skating exhibitions, curling, hockey games and winter carnivals. The first “Fancy Ice Skating Carnival” took place in 1928, the year the Yosemite Winter Club was founded. In 1931, the San Joaquin Valley Sierra Winter Sports Carnival also employed the Curry Village Ice Rink with curling matches and a tug of war competition on the ice. 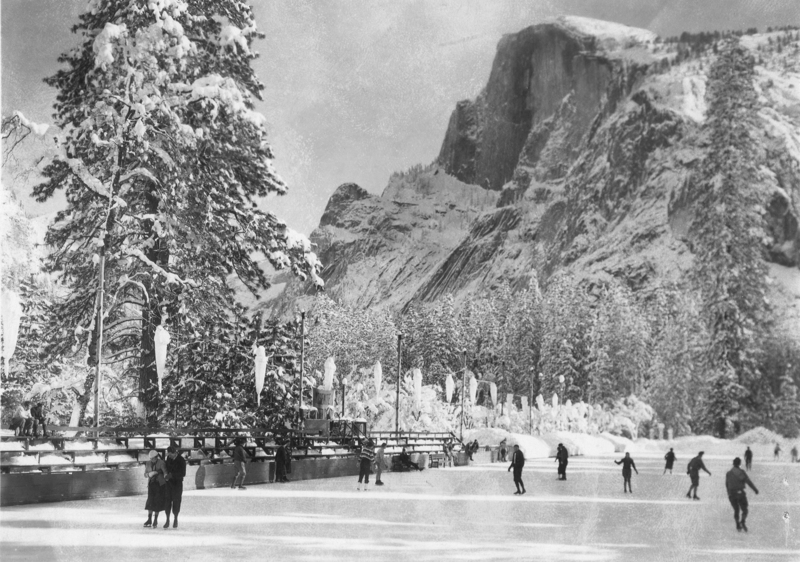 By 1933, the annual California State Figure Skating Championship took place in Yosemite entertaining grandstands filled with onlookers as colored glass candle holders set into the snowbanks surrounding the rink created a festive atmosphere. Hockey was a popular rink sport throughout the 1930s, and players included professional teams and collegiate exhibitions. Moved from its original location, the current ice rink at the Curry Village Recreation Center was built in the 1970s at the location of the former Curry Village Garage – a structure that was destroyed by an arson fire. Often cited as one of the world’s best ice rinks by travel magazines, today’s rink includes a skate rental program, a large warming hut for skaters to stow their boots and a fire pit to warm their toes. From November to early March, Delaware North at Yosemite operates the ice rink with a staff that maintains safety for skaters and the condition of the ice with a zamboni. Curry Village Ice Rink is open daily for several day and evening skating sessions, conditions permitting. For more on the history of ice skating in Yosemite see “Magic Yosemite Winters” by Gene Rose. James McGrew painting at Townsley Lake. James McGrew has been visiting Yosemite his entire life, and guiding High Sierra Camp loop trips through the Yosemite backcountry for the last 14 years. 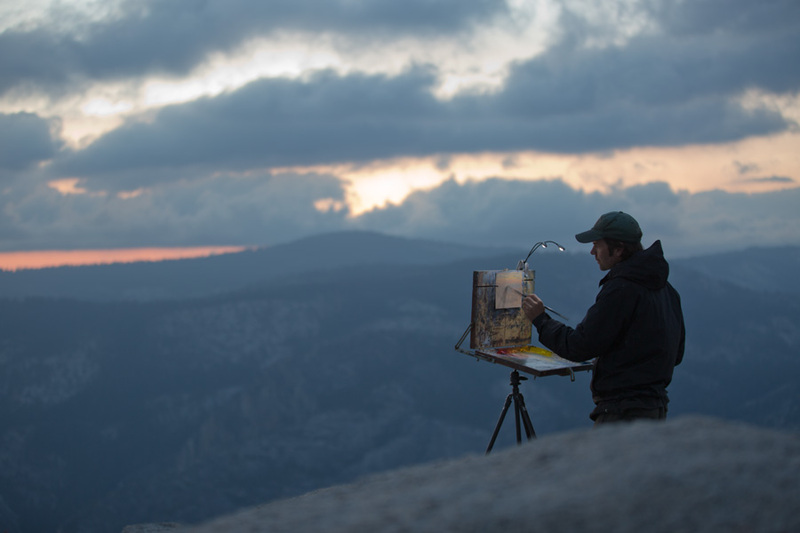 His artwork gives him, and those who travel with him on these trips, yet another way to connect to the beauty of the Sierra landscape. We were honored to be able to catch up with James this year before he started his backcountry season to find out more about his unique perspective on Yosemite and some of the places that he loves. As this season winds to a close, the High Sierra Camp lottery for next year is right around the corner. 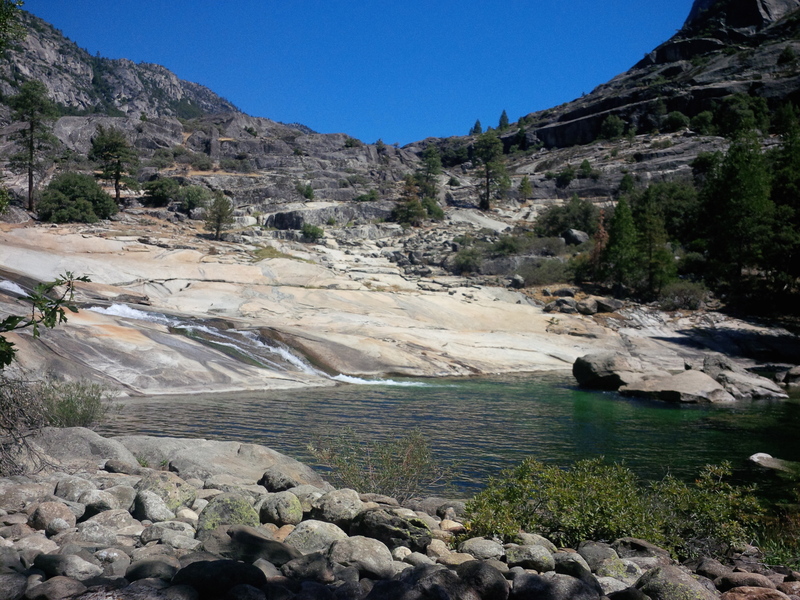 Beginning September 1, 2014, you can apply for the popular High Sierra Camp loop trips, with James or another one of the amazing rangers who lead these high country trips. 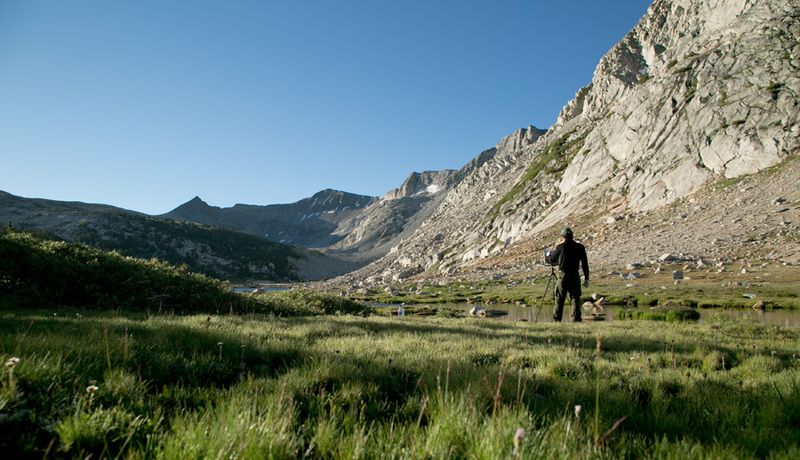 What is your favorite High Sierra Camp or spot along the High Sierra Loop, and why is it special to you? That’s a tough question because all the camps are unique and special to me. I truly love them all. 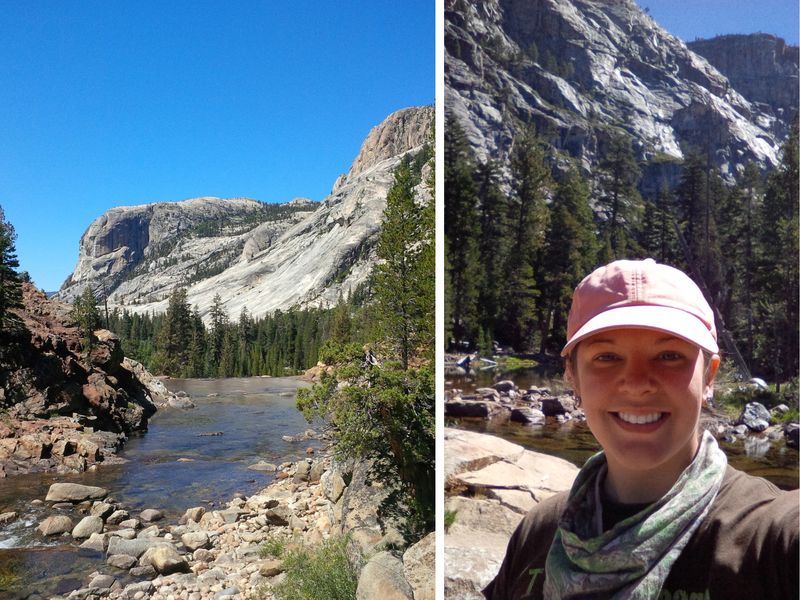 I love Glen Aulin for the breathtaking view down the canyon and the reddish oxidized and glacially polished rock. I love May Lake for the sparkling gemstone-like qualities of the lake, relatively short hike up Mt. 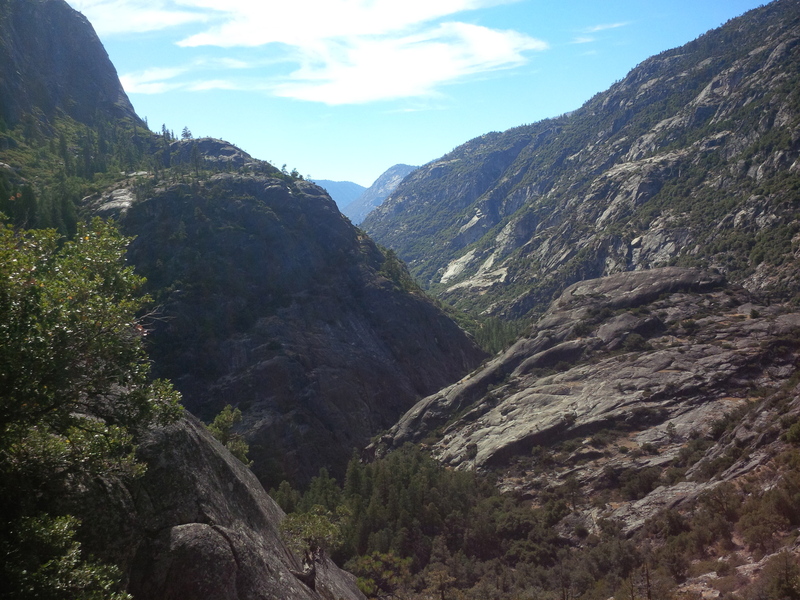 Hoffmann in the center of the park, and the ridge next to camp with spectacular views across Tuolumne, the Cathedral Range and down to Yosemite Valley. I love Sunrise for the breathtaking view of alpine peaks across Long Meadow which changes its colors from week to week and is often frost-covered in morning. I love Merced Lake for the diversity of leisure activities and things to explore on layover days. We get a chance to slow down, relax, swim, fish, explore without a backpack. I like the larger campfire circle that allows for the largest audiences of our campfire programs in the high country. Finally, Vogelsang, perched so high, offers spectacular scenery, a steep scramble up Vogelsang Peak or short walks to alpine lakes. We can’t do campfire programs, but I enjoy the large crowds that gather for the sunset talks and open views and clear skies for the astronomy programs. 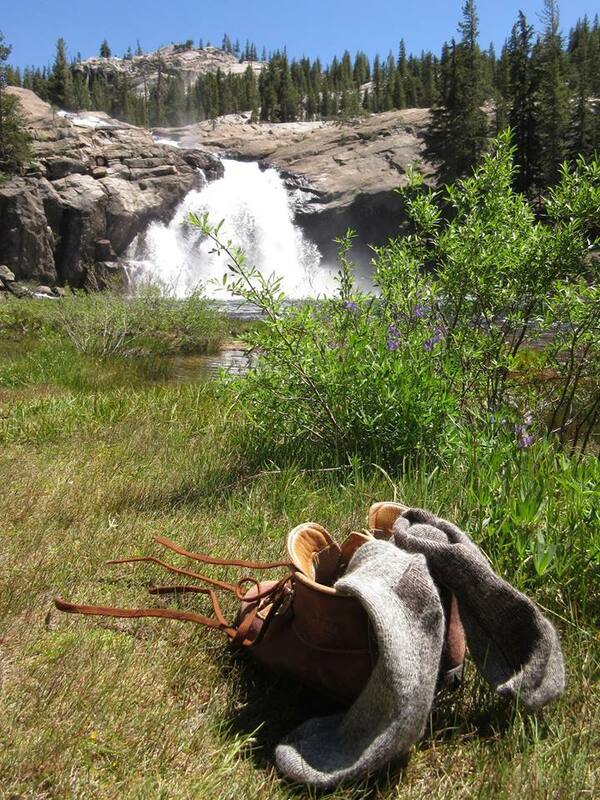 What do you remember of your first trip to the high sierra? I was just four months old so I don’t actually remember my first trip. 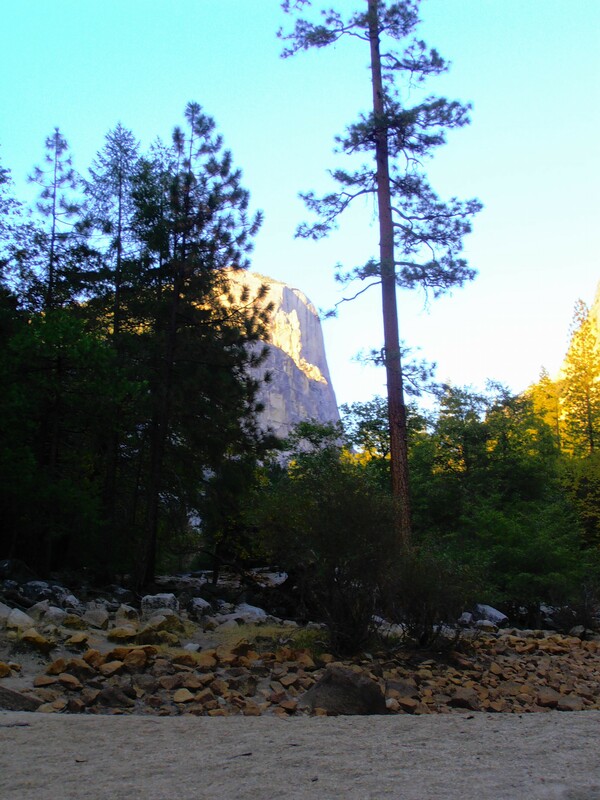 However, my parents said I was enthralled with my fist in my mouth and eyes wide open, looking up at the towering granite. 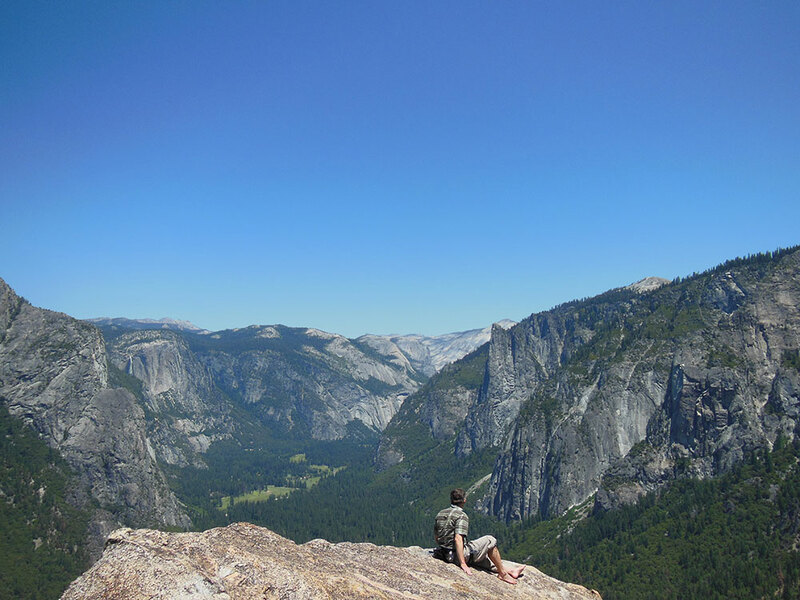 By eight years old, I really remember thinking how much I loved Yosemite and asking my parents to take me backpacking for my birthday in late June. 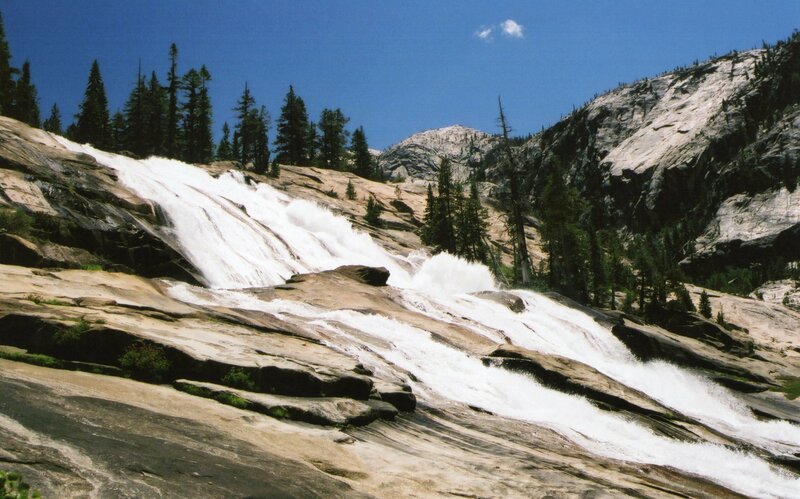 We were not really in the high country, but rather back packing out of Hetch Hetchy and that year, 1983, was the highest snow pack year on record so the waterfalls roared with a power I’ve never seen since. The mist of Tueulala falls spread across the trail and hundreds of newts crawled about. Then crossing the bridge below Wapama falls was another memorable experience as my father carried me across the bridges which crossed the raging water and torrential spray. When I returned home following the trip, I remember drawing the waterfalls from memory. You sometimes incorporate art into your evening programs/presentations; how do you go about that, and what does it look like? 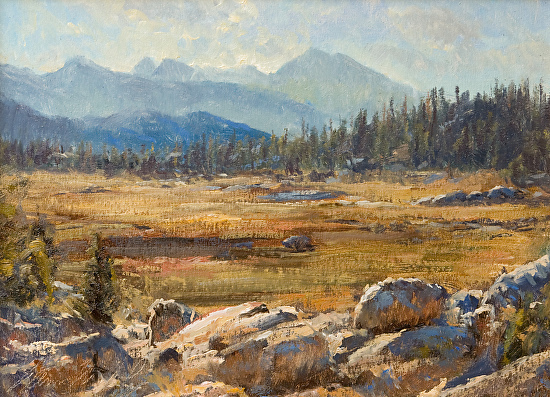 Art and Artists played a key role in the preservation and management of Yosemite. 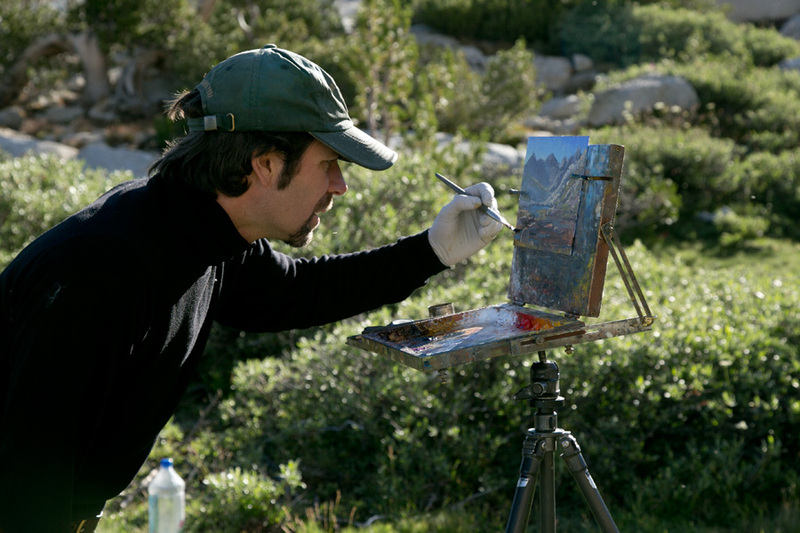 I conduct several programs which sometimes involve plein air painting and art to help illustrate the art history, natural history and help people see and experience Yosemite and find their own interpretations. These include sunset talks or daytime programs and even the entire loop trip. Although a loop trip consists of many individual interpretive programs including day hikes, sunset talks, evening campfire and astronomy programs, all with different topics, I tie them all together with an overriding art theme for the week. It actually applies to everything from art and history, to geology, biology, aesthetics, philosophy, ecology and management. I give specific programs on art history in Yosemite, as well as an actual art class and have the participants produce their own interpretation of Yosemite with pastels and pastel paper. At the end of the trip, we have an art show and each participant shares their unique interpretation and experiences. If I’m actually painting during a presentation, I set up my tripod and pochade on my “stage” in front of an audience so they can clearly see my painting and the scene I’m painting. I paint extremely fast so people are usually surprised to see a painting take shape in just a few minutes. The purpose is to help draw the crowd and help them observe or study things more carefully, especially certain elements I will focus on during the program. It’s a way to hook the audience, inspire contemplation and get them thinking about my topics, which may range from geology, sunsets, atmosphere, light, aesthetics/emotion and beauty in nature. I don’t complete a painting during a ranger program. Rather they are just oil sketches or impressionist starts to serve a purpose involving the audience as an interpretive technique. I usually just scrape down the panel to reuse for the next program. What art supplies are must-haves for the backcountry for you? Lightweight, sturdy carbon fiber tripod with quick release plates mounted to each of my cameras and pochade for easy switching; pochade box with quick release plate to mount on the tripod and loaded with a limited palette of professional oil colors made with California walnut oil (mfg. by M. Graham in Oregon); oil-primed linen panels ranging in size from 6×8 to 12×16; brushes; paint knife; about an ounce of walnut oil (for making paint more fluid and for cleaning brushes safely); steel palette cup for the oil; some paper towels; nitrile gloves; ziploc bag for waste. The walnut oil dries more slowly than linseed oil so I can backpack for a week and the paint stays fresh without having to reapply any paint to my palette or carry tubes of paint. Obviously that means that the paintings remain wet for at least a week or two. So, I developed some lightweight and compact methods for transporting wet paintings. The art supplies all fit into a ziploc freezer bag, and the tripod straps to the outside of my backpack. I’ve refined my supplies so that it’s all surprisingly compact, lightweight and efficient. Note: Although many people mistakenly think that oil paints are toxic, when used properly, they are naturally safer for the artist and environment than acrylics and many watercolors. In fact, the oils themselves are loaded with omega-3 and can double as cooking and salad dressing oil. How does your artwork change or affect your experience in the high country? Painting greatly affects my experience in many ways but overall most prominently in three primary ways including observation, focus, and a tangible visual memorabilia. First, it forces me to carefully observe and explore while looking for unique or ideal compositions. Also, as a vehicle for communication good paintings often serve a valuable purpose in sharing information or ideas to an audience. Therefore, when painting I’m thinking more critically about the landscape, wildlife, history, atmosphere, as well as my emotions and how to best interpret those into a visual medium with pigment and brushstrokes. In the process of standing in one location, quietly observing, I find that I’m using all my senses, not just eyesight and this all goes into the painting. 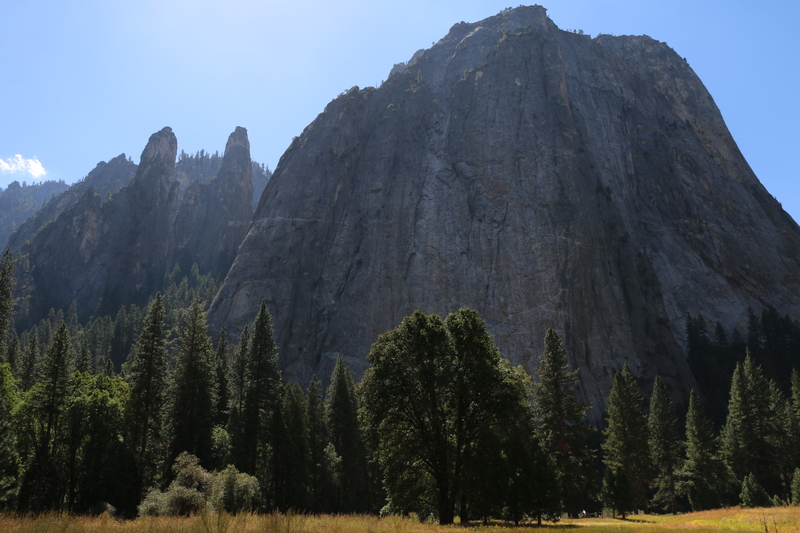 Moreover, that process enables me to experience Yosemite as wildlife often passes by as I’m standing in one location. I think that most of my greatest wildlife observations and discoveries have occurred while painting. I’m more acutely aware of the subtle shifts of light, weather and atmosphere, geology, insect hatches, migrations, etc. That awareness in turn helps me as a naturalist just the way my science background (Degree in Biology with Chemistry and Geology Minors and Graduate work for a Master’s of Science in Environmental Education) helps me in my painting nature. Second, painting helps me focus. Most naturalists go through some sort of process to clear their minds and mentally prepare for a program. For me, sometimes it’s going for a walk, splitting firewood, sitting by the river studying notes, or the meditative rhythm of fly fishing. But one of the best ways to focus and clear my mind is actually to find a quiet place and paint for a while. It really forces me to slow down, focus, relax yet energize at the same time. Painting requires a tremendous amount of energy and focus and that energy also carries over into presentations. Finally, painting produces a tangible object that accurately represents an experience or location in Yosemite, not just visually but emotionally as well. I compare my photography with my paintings and the paintings always convey much more of the natural light, atmosphere, edges, and emotions I felt while experiencing a scene or event. A camera is merely a recording device, quite different and pales compared to the human visual processing system comprise of densely packed cells at the center of the retina, looser arrangements of cells peripherally, a combination of color, detail, motion, location tracking systems which are wired to different parts of the brain and which influence physiological responses. Those elements influence painting which is an interpretation, not just reproducing a visual scene. 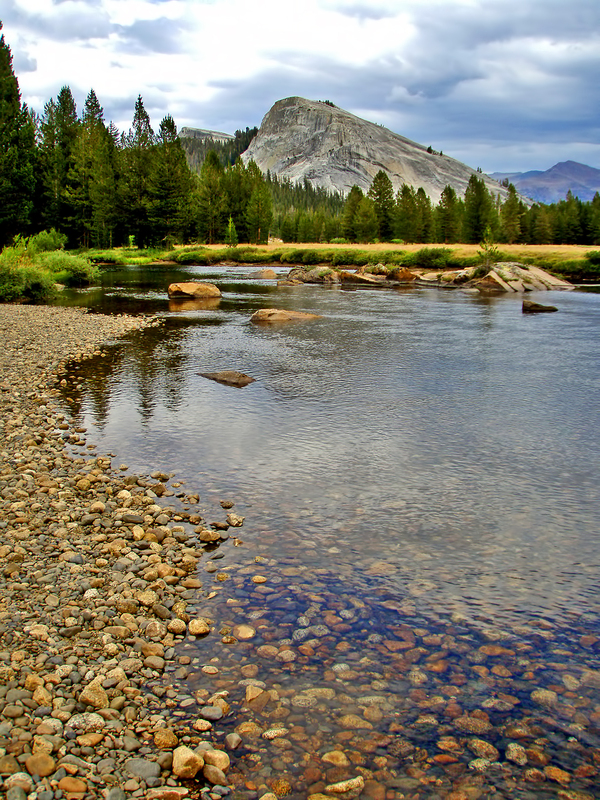 Do you have any recommendations for people visiting Tuolumne Meadows and the high sierra for the first time? 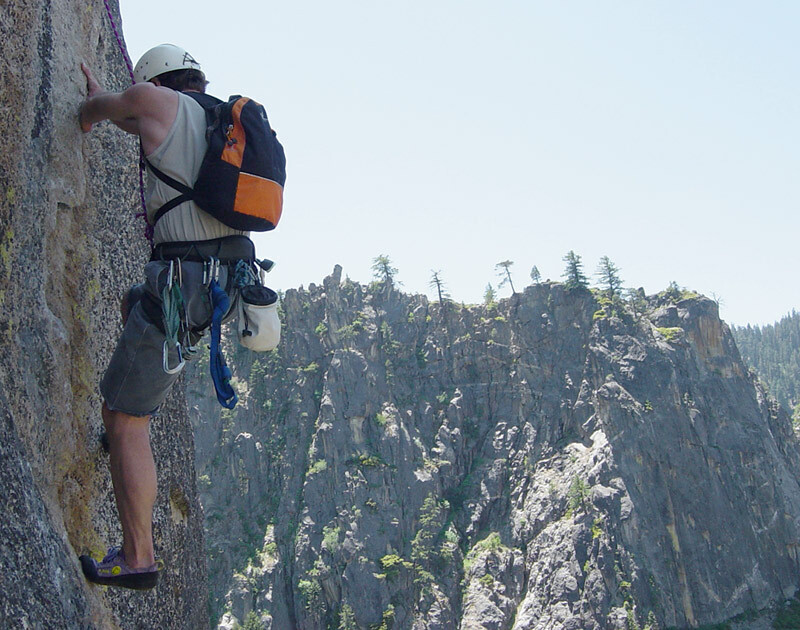 Whether leisurely relaxing or pushing an adventure like rock climbing, I think that people benefit from just taking some time to use their senses and experience someplace for a period of time. Get out away from the crowds and spend some time and watch how many things reveal themselves, especially when looking from different perspectives and focusing on one thing for a while. Take time to observe from different perspectives and use all senses. At those moments, I find that most people make wonderful discoveries.